This year I am going to pretend I am Oprah and name some of my favorite places and spaces for Christmas shopping and eating out. I like low stress when it comes to shopping, and visiting small independent local businesses not only take the angst out of shopping but I grab some fabulous finds. For me, mellow started on Thanksgiving. I had a new book come out the week of Thanksgiving so I decided to be lazy and let Lacey’s Catering in my hometown cook Thanksgiving dinner for me. We had turkey, mashed potatoes and gravy, stuffing, green beans, cranberries and two different flavors of pie. I wasn’t disappointed, in fact, it was better than my cooking (you’ve heard about my cooking) and my family stuffed every morsel in their mouths. The next place I would highly recommend is Bruss-Heitner Funeral Home. Yes, you heard me right. I am shopping at the funeral home and not for the perfect urn or casket but Christmas gifts. The Bruss-Heitner Boutique is now open for business after they transformed former offices into a gift bonanza and filled it with unique items from local artists and crafters. The wooden star you will see on my living room wall I purchased there was made from wood taken from my parent’s house before it was torn down and made into a piece of beauty by a gifted crafter. We are lucky my hometown also has the Humble Heart, another venue for gifts. A glass angel I gifted to a friend was designed out of old glass dishes. It was hard to choose an angel because each one was different. Other small communities have peaceful shopping for the holidays. The Quilters Cottage in Kiester not only has some easy patterns and fabric for someone like me who wants to make some gifts but is not an experienced sewer. Make sure you take time to smell the candles, try the lotion or take the time to see what else the cute store offers. Not too far from Wells, located on the old Highway 16, is Antiques of the Midwest, having recently relocated from Albert Lea. I couldn’t pass up the cute cat vase that I didn’t need and if I can talk myself into parting with it, it will make a great gift for a friend. And they have a giant blue Mr. Blue from the M&M candy collection that would be perfect for your friend that collects unusual things. My Christmas shopping wouldn’t be complete without buying a few books for my family and to find book gifts I will drive to Sweet Reads in Austin. I love meandering through the store and watching the electric train traveling around a track near the ceiling in one of the rooms. This year I will be picking up another inspiration bracelet and a pair of mittens, which are made by another local artist whose items are carried by Sweet Reads. There is nothing like stopping by the Interchange in Albert Lea to have a hot coffee drink, pick up a bag of coffee and browse the gift section and artwork on the wall. Be careful if you buy the toffee for a gift because you will want to eat it and it might not make it into the gift box. When I am traveling around to the smaller communities there are a few places I love to stop at to have lunch or dinner. Buckley’s Bar and Grill in the tiny town of Walters, Club 569 in Easton, the Willows in New Richland or if you are in Bricelyn and visiting the Brush Creek Boutique, make sure you stop at Bud’s cafe. They were voted as having the best pancakes in Minnesota. Wineries are also a place to shop — and not just for wine. And Three Oaks Vineyard and Winery in Albert Lea is the place to find a gift of wine for someone special. Area wineries also offer various venues for shirts and other clever gifts. Don’t discount area museums. My small town museum, the Wells Depot Museum, has gifts for the history lover. Visit your community museum and learn about the history of the area and then give someone you love the gift of memories from the past. If you are ready to shop until you drop, do it in small-town America. Look for those unique out-of-the-way places. They are out there to be discovered. 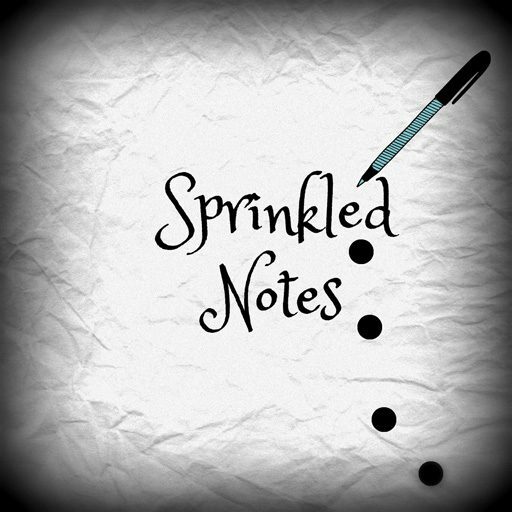 If you have a favorite place, list it in the comments after I post this article on my blog http://sprinklednotes.com. Give yourself the gift of peace and tranquility shopping at the small, independent unique places and spaces. The adventure you find in rural southern Minnesota while shopping for the ones you love will be one you will never forget and keep you coming back time and again. And you can’t beat the customer service of a mom and pop shop. After you have chilled out and experienced the tranquility of small-town unique, give your list another tweak. Stop and drop off a donation for a local charity to help those whose stress is not a rarity, the hungry and poor and those who will have no gifts at their door. You will have found another reason for the season. Now I want to put a disclaimer in this post. If you see my books in some of the pictures, yes, some places carry my books but that is not the reason these are my favorite spaces. These are my favorite spaces because of the merchandise, the ease of shopping, the ambiance of the businesses and the friendly proprietors. Shop til you drop. And if you have some favorite businesses be sure to comment and if you want to share a picture or something you bought with your comment. There might be a free kindle book in it for you. Merry Christmas.